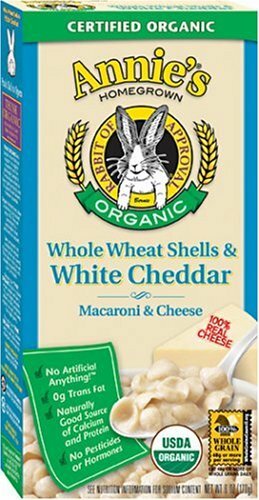 Fancy up your Mac & Cheese! It’s hard to find a person in this world who doesn’t love (or at least like) mac & cheese. It is, I believe, the ultimate comfort food, right up there with chili and grilled cheese sandwiches. When I was a wee one my sister and I had mac-&-cheese-offs. Back then it was the big brand in the blue box full of sodium and artificial colors. I preferred mine with full cream and butter while she insisted it was best dry as a bone with clumps of cheese powder sticking to the noodles (guuuh!). Over the years I’ve come across hundreds of varieties based on the old favorite with all sorts of gourmet renditions and fancy additions such as smoked gouda, apple bacon, carmalized onions and sweet potatoes, just to name a few. 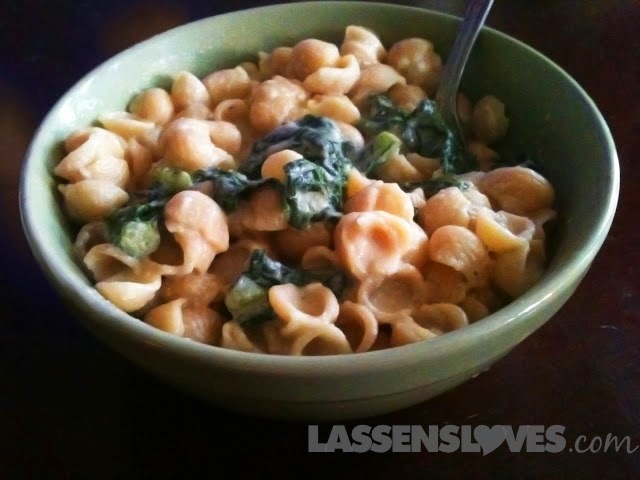 There are even vegan versions using creative options like cashews to make that perfect savory “cheese” sauce. While those are all BEYOND AMAZING, there’s still the ease factor of that blue box that can not be denied. Thanks to Annie’s Homegrown, I can throw together mac & cheese with all the finesse of my 9 year old self without having to succumb to tweedle-yellow-5-dee and tweedle-yellow-6-dum. However because I am no longer 9, I thought the fancification of this boil-and-eat delight was in order. My Quest: Maximum flavor with minimum effort. I know, technically its not “macaroni” but shells have a wonderful tendency to trap sauce better! In place of milk and butter, this thickens the sauce while adding a slight tang! Any fat% Greek yogurt will do. I was just trying to keep this as skinny as possible. Where the goodness comes from! I can not fully stress my undying love for this product. 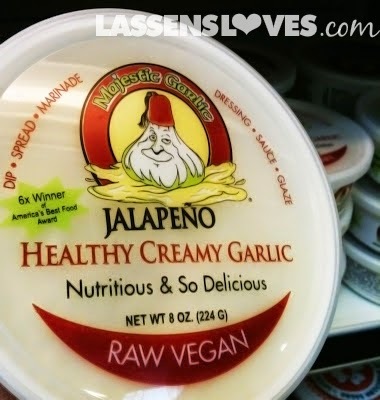 I discovered Majestic Garlic about 2 weeks ago and it has since become a welcome condiment to most meals.The amazing zing of the organic raw garlic plus the unexpected kick of the jalapeno really puts this over the delicious edge. 1. Start by following the instructions on the Annie’s Box. Boil noodles for 8-10 minutes until tender. Drain and pour back into pot. 2. Add 6 oz container of Fage 0% nonfat Greek yogurt, 2 teaspoons of Jalapeno Majestic Garlic and white cheddar packet from the Annie’s box. Stir until completely mixed. 3. 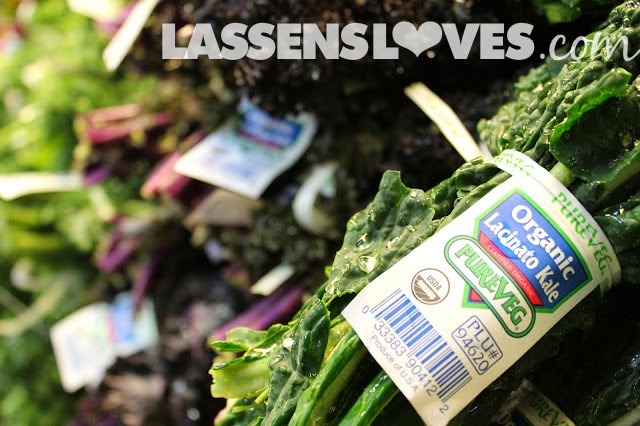 Reduce heat to low and stir in 1 cup of organic chopped kale. Put cover on and let sit for 5 minutes stirring occasionally until kale is wilted. 4. Take off heat and serve!!! If you’d like add sea salt and Parmesan to taste. 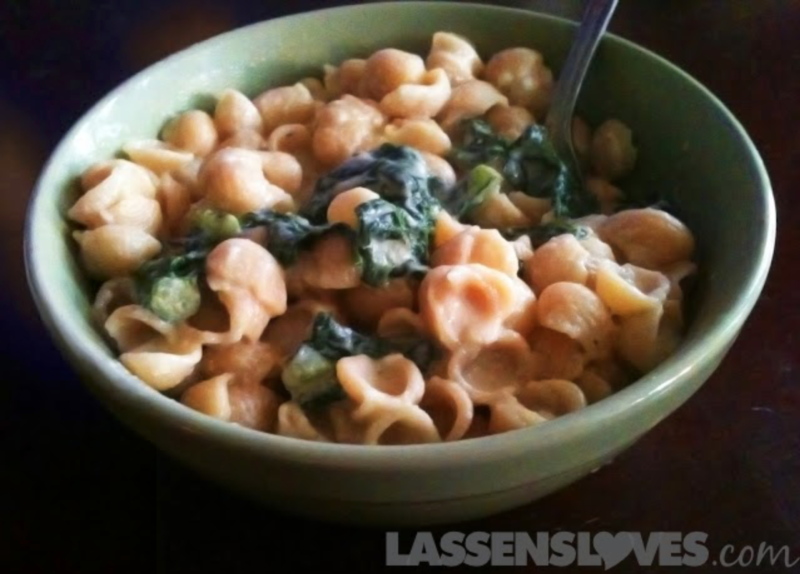 Do you have an awesome macaroni and cheese recipe of your own?